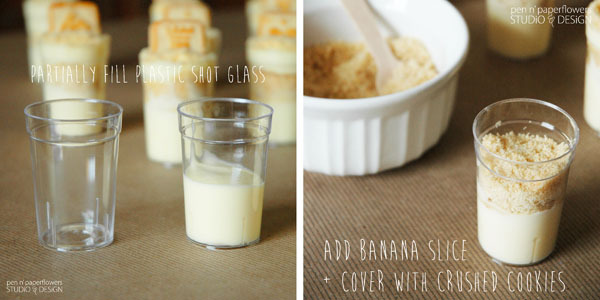 Dessert Shooters are one of my favorite things to make. 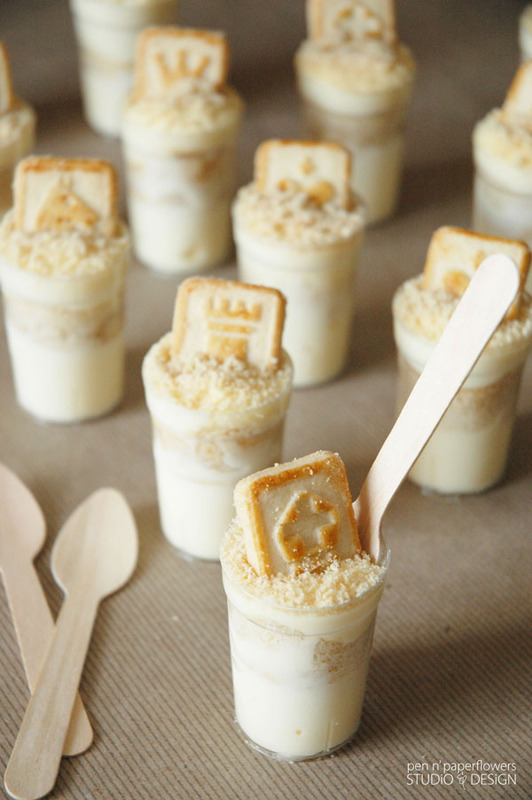 Mini + Delicious = a perfect dessert table item. It's actually a recipe I shared with you a couple of 4th of July celebrations back. Why would I share a recipe I've already shared here? you've simply got to try this. 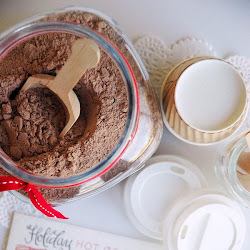 Combine the milk and pudding mix in a small bowl and blend well using a handheld electric mixer. Set aside. Using a large bowl, combine the cream cheese and condensed milk together. Mix until smooth. Add the pudding mixture to the cream cheese mixture and stir until well blended. Pour the mixture into a gallon size ziploc bag and snip off a small corner to easily fill each shot glass. Prepare shot glasses for filling by lining them up. Partially fill each shot glass with mixture. Add one slice of banana. Cover banana slice with small sprinkling of Crushed Pepperidge Farm Chessmen Cookies. 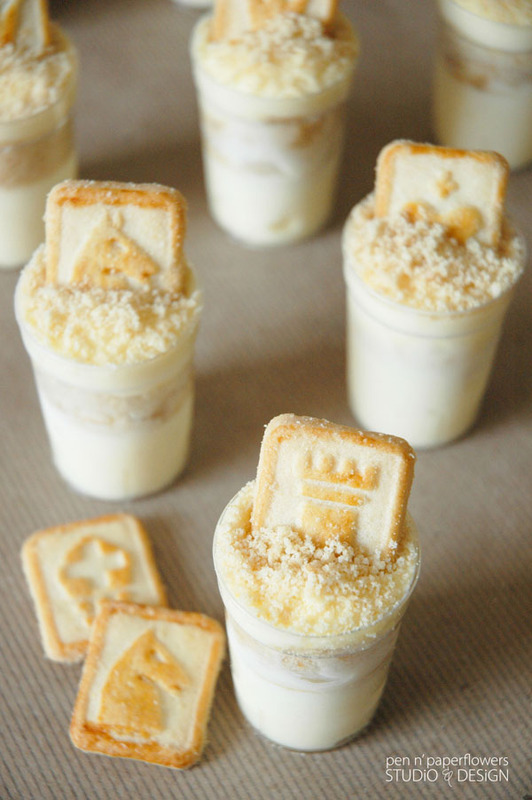 Add another layer of banana pudding. Be sure to leave room for more cookie crumbs. 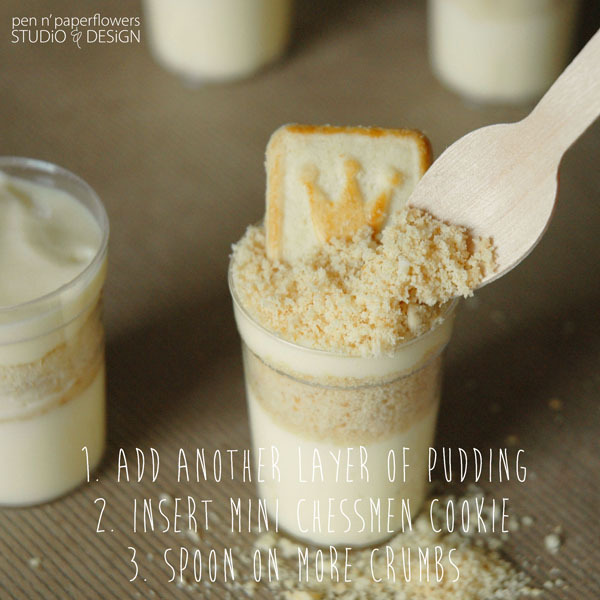 Add a Mini Chessmen Cookie and then top with more cookie crumbs to cover. 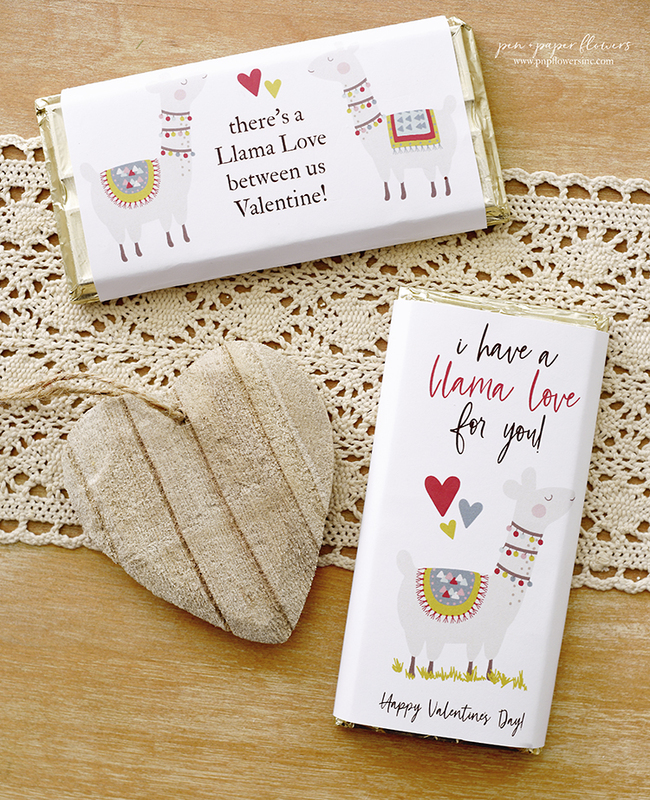 Insert cute wooden spoon from the TomKat Studio Party Shop and enjoy. Paula Deen's original version of this recipe using a 13x9 pan can be found HERE. Don't like bananas at all? – 3 bananas instead of the 6-8 the original recipe called for. – ONE bag of the regular Pepperidge Farm Chessmen cookies needed instead of two. – 3 bags of Mini Pepperidge Farm Chessemen cookies replace the one bag of regular Chessmen Cookies you would've purchased. I hope you'll try these out and report back your results. 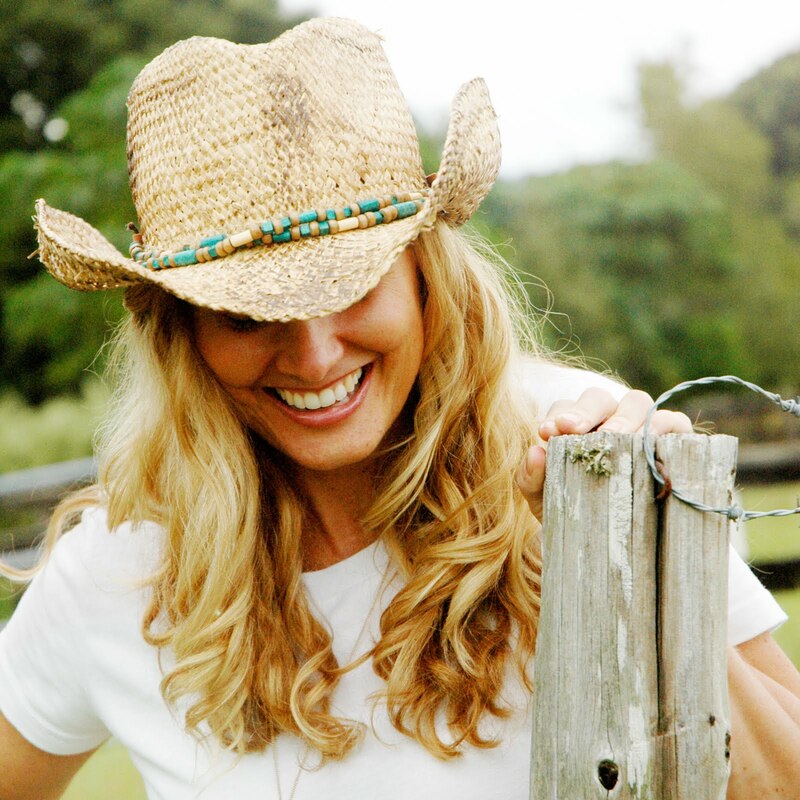 blend my "life behind the scenes" with content for my blog. Where did you get these shot glasses from?! They are exactly what I'm looking for and I can't find them anywhere! I love these!! 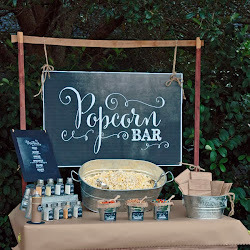 A super idea for a party of any kind and so festive!! I would tend to want more than one slice of banana, so I think. I'll try that first. 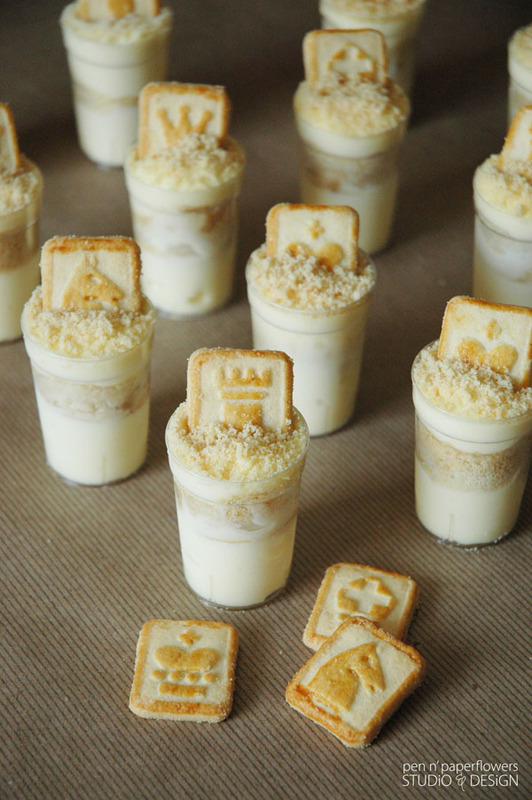 Thank you so much for posting this great idea for serving Not Yo Mama's Banana Pudding!! Thank you Barb!! I'm so glad you like this idea. It's yummy and definitely worth trying out!! Thanks also for visiting my blog...I hope you'll come back to visit often!! 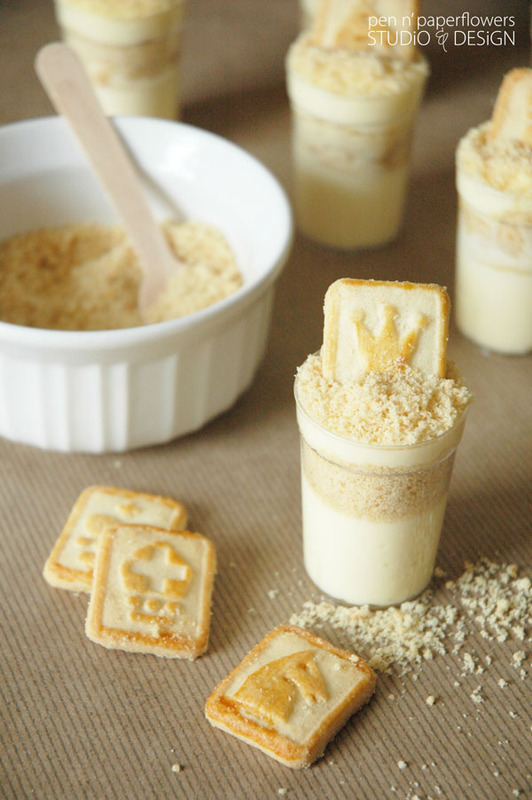 Do you have any suggestions as to where we can find the mini chessmen cookies? I live on the west coast and it doesn't seem like many stores carry them! Thanks for your help!